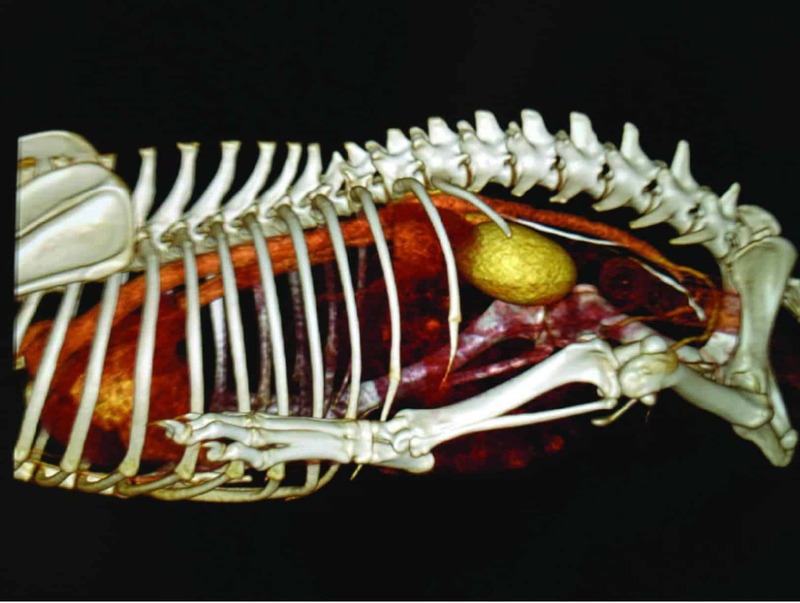 This technology gives us incredible insight into your pets internal condition. 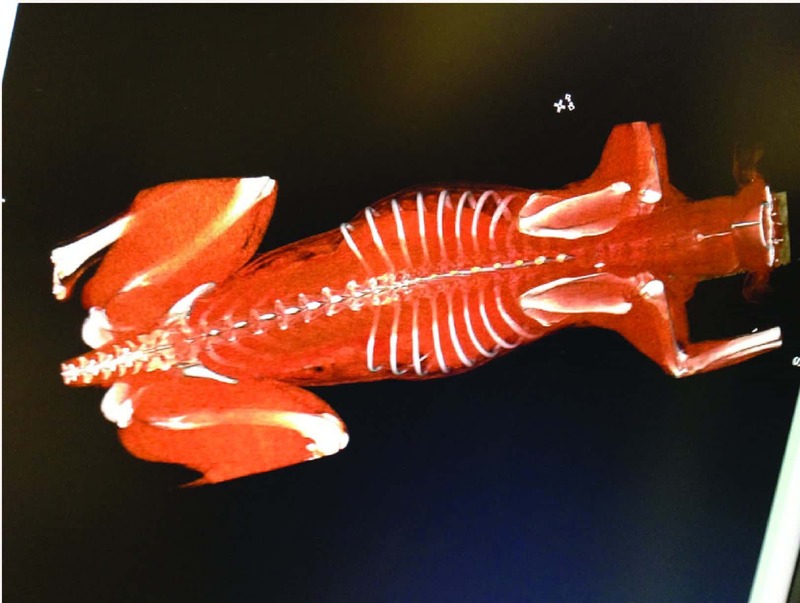 The X-rays are emitted from 360 degrees around the patient to give ‘slices’ at 1mm parts through the body – kind of like a deli slicing machine! There is no hiding from a CT scan at Southern Cross Vet! Are CT Scans better than X-Rays? When there are multiple possibilities of what could be causing the problem, often CT will get the answer quicker. For example: Patient X had a blood test that showed elevated liver enzymes. The vet then did an x-ray to check for a tumour. This was negative. 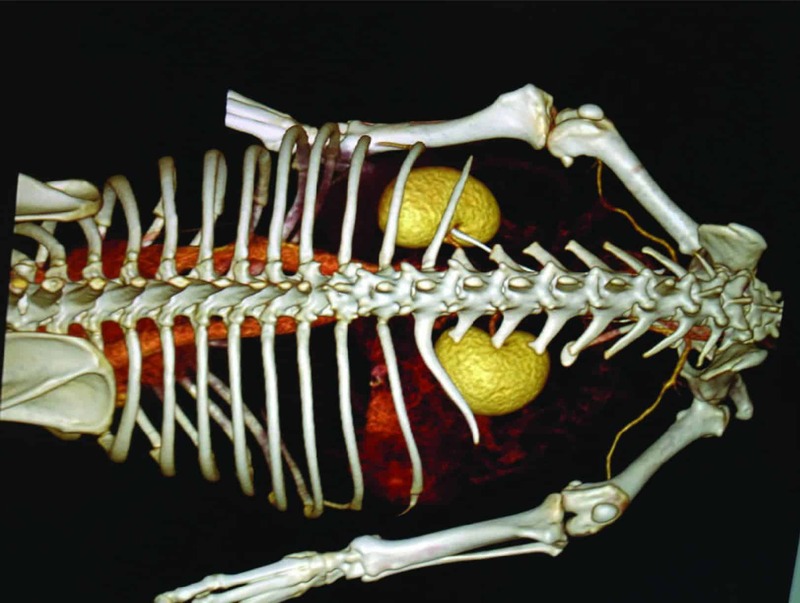 An ultrasound was performed to look at the gallbladder and see if there were stones. This was negative. Finally the patient came to us and we CT scanned her and found that she was suffering from a flare up of chronic pancreatitis which was easily treatable with medication. 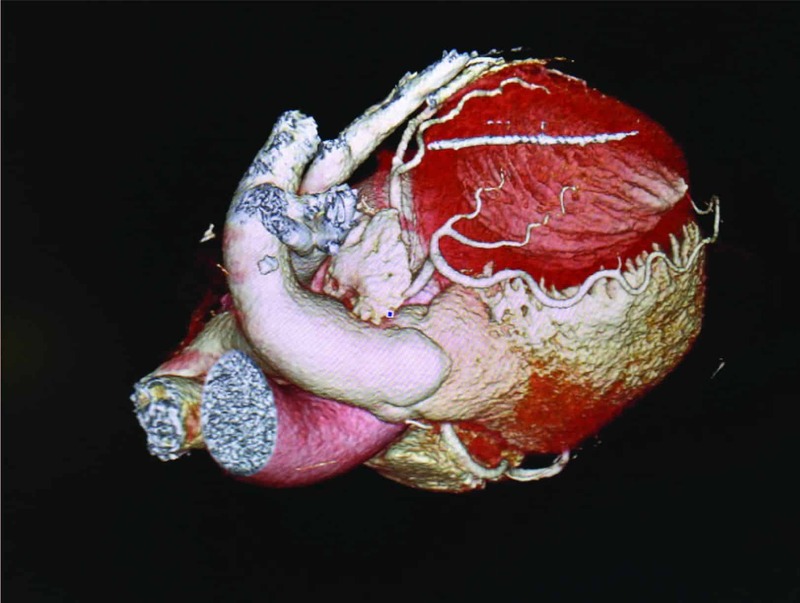 If patient X had the CT scan performed first, knowing that in this case ultrasound and x-rays would only give half the picture, the owner could have saved money and Patient X could have been saved so much invasiveness. 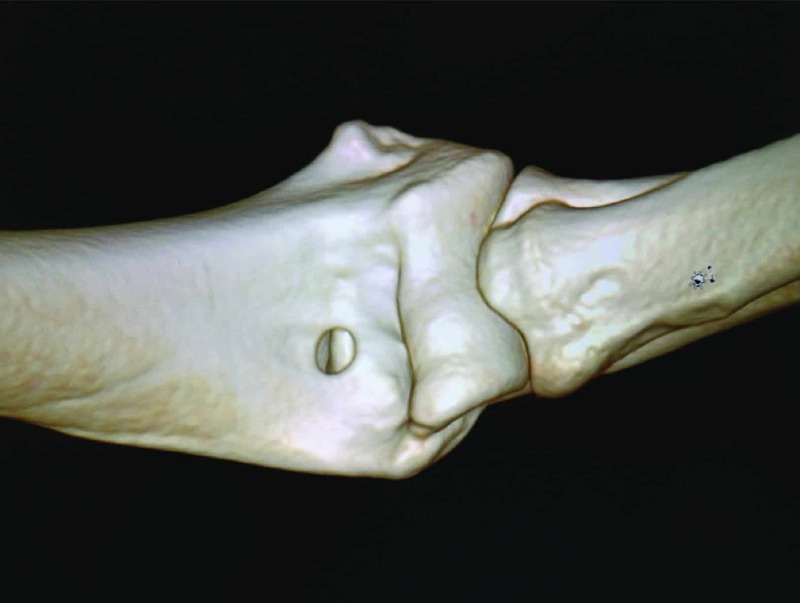 A CT scan gives better definition in complex joints such as the wrists and elbows. 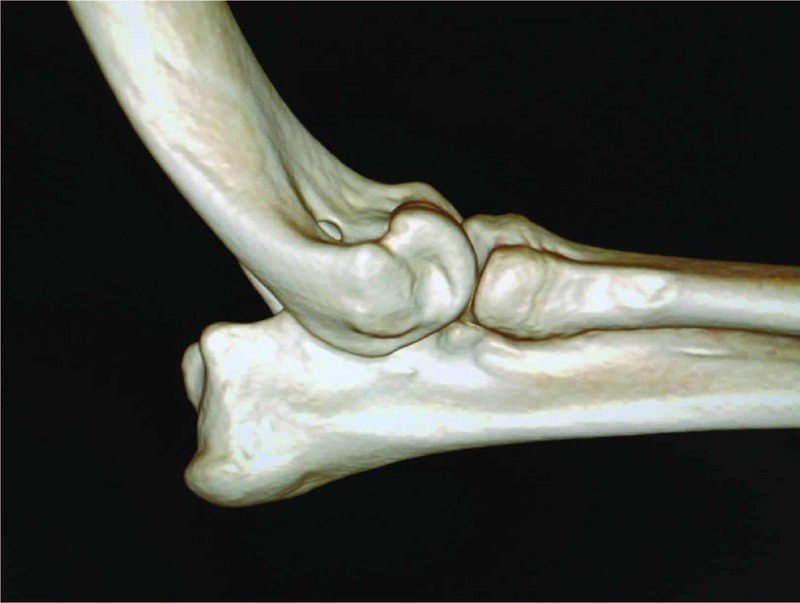 To diagnose the cause of limping in the elbow, CT scanning is preferred over x-rays as it can pick up treatable problems that x-rays can’t. This technology reduces misdiagnosis! It is the gold standard in rapidly diagnosing the cause of limping in dogs and cats. Whole-body CT scans can detect cancer early and pick up on spread to work out the better plans for our cancer patients. IV contrast is given to shine up tumors like a christmas tree. This is where CT comes into it’s own – it can beautifully image the discs in the spine to diagnose ‘slipped discs’ which are commonly misdiagnosed as ‘arthritis’. The treatment of disc disease is different to arthritis and is best started early. 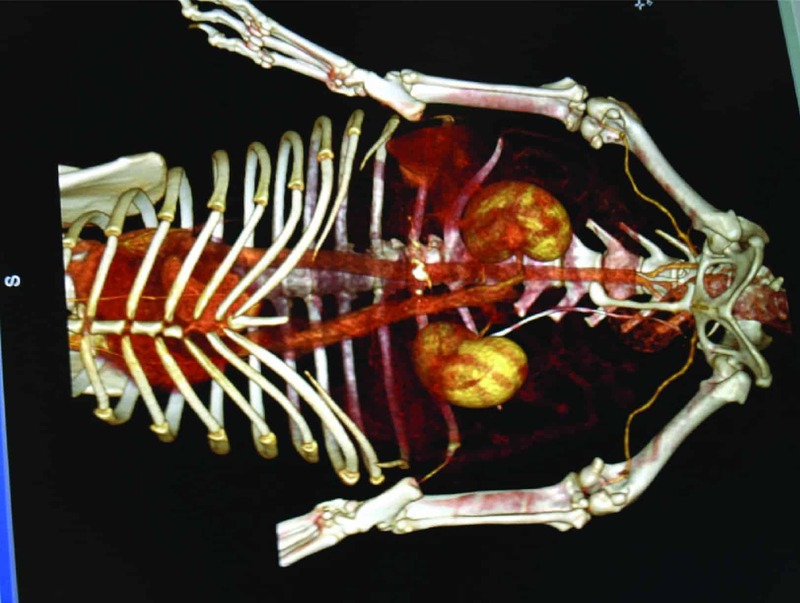 Unlike other CT scans in the veterinary industry, our CT machine is very fast and so angiograms can be performed by us to more accurately diagnose and treat heart disease in pets. In short, CT has offered us a massive step up in being at the cutting edge of medicine, allowing our clinicians another tool to be the best diagnostic vets! 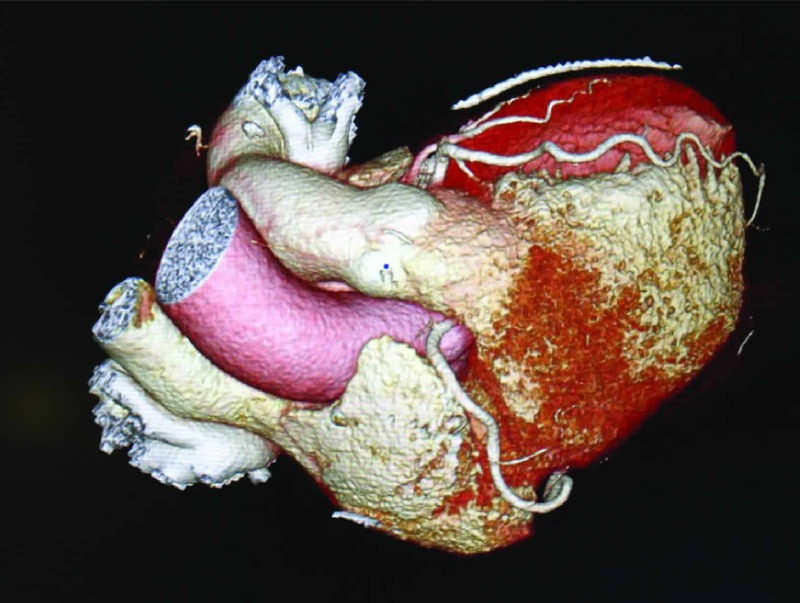 Other imaging tools we use include x-rays and ultrasound.